Rio 2016 may have seen Singapore fail to win any medals across all four Table Tennis events, but the Women's squad received a warm welcome home in front of about 200 fans at Chengi Airport. 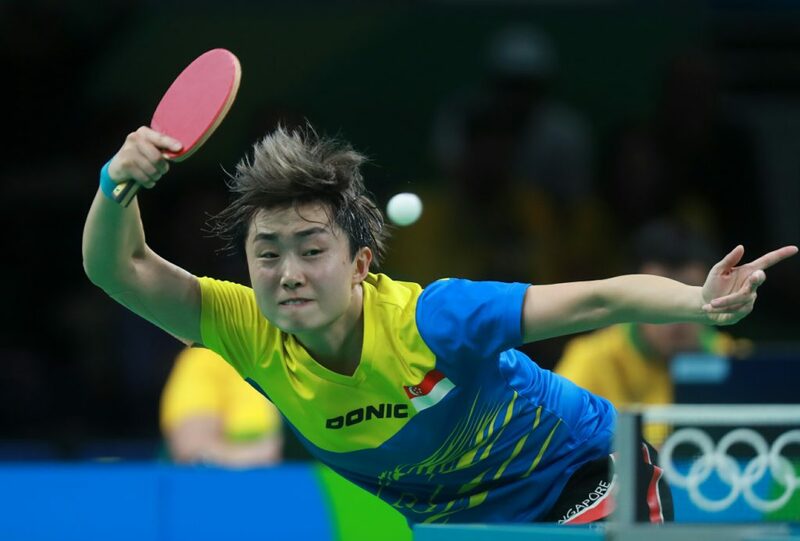 There was disappointment for Singapore’s Table Tennis players at Rio 2016, especially in the women’s events as an expected medal never arrived. However, upon returning home the women’s squad of Feng Tianwei, Yu Mengyu and Zhou Yihan were welcomed at Chengi Airport (Singapore) by around 200 adoring fans asking for photos and autographs from the players. Having been crowned as world champions in 2010 and having picked up medals in the previous two Olympic Games, the Singapore women’s team were aiming for at least a medal finish. But a defeat to Japan in the Rio 2016 Women’s Team bronze medal match left Singapore empty-handed for the first Olympic Games since Athens 2004, and Feng admitted the pressure of an expecting nation affected her performance. “In the bronze-medal match against Japan, I was too caught up in winning another medal for Singapore. Because in 2008 and 2012, I took medals home, so I hoped even more to win yet another. Maybe it’s the pressure that’s gone up a notch, and I couldn’t properly handle it. So I conceded two matches and I feel quite guilty for it.” – Feng Tianwei. The Women’s Singles tournament saw both Feng Tianwei and Yu Mengyu participate, but neither player progressed beyond the quarter-finals stage. Yu exited to eventual bronze medallist Kim Song I (DPR Korea) while Feng lost out to Japan’s Ai Fukuhara.